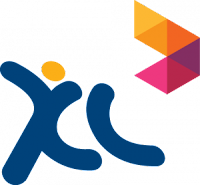 PT XL Axiata Tbk - XL Axiata , as an established telecommunication company is supported by experts and tough professional management, providing a challenging and exciting workplace. XL continuously provides supports and rewards for our employees, because at XL employees are our most precious assets. BSc degree in Informatics/Telecommunication Engineering/Computer Science. Master of Science degree in Engineering would be an advantage. Has experiences in more than one area of following ICT network design/development is mandatory; Radio, Core, Transport and Service Layers. Bachelor Degree (S1) from any discipline with at least 2 years working experience in Customer Service, Call Center or Walk in Center Operations from Telco or Service Industry. 5-7 yrs Management Information Systems experience working in an enterprise environment with an emphasis in IT security. Bachelors Degree from an accredited college in Information Systems, Computer Science or related field. Knowledge of WAN/LAN network security devices such as the firewalls, VPN (Virtual Private Network), IDS (Intrusion Detection System) and IPS (Intrusion Prevention System). Strong skills in Firewall architecture and administration.